Thankfully, we never face that problem when it comes to spiritual wealth. Paul’s letter to the Ephesians is one of those books in the Bible that tells us something about our spiritual wealth. Paul has just finished opening his letter to the Ephesians by listing three of the most valuable possessions that belong to us in Jesus Christ. In one long sentence, he has told us that our future is secure by the promise of the Father, we have salvation by the work of the Son, and as a guarantee, we have a sealing, or a deposit in the form of the Holy Spirit. These are three of the spiritual riches we have in Jesus Christ. But what is it we are supposed to do with these spiritual riches? God has given us material and spiritual possessions so that we might use what we have for Him. Paul has explained in Ephesians 1:3-14 what some of our spiritual riches are. Now, in Ephesians 1:15-19, he reveals one of the purposes for our spiritual possessions. While there are two purposes to our spiritual possessions, only one of them is found in this passage. The other one we have already seen in Ephesians 1:3-14; I just haven’t pointed it out. This first purpose is mentioned three times in these verses. The first blessing we have in Jesus Christ, found in Ephesians 1:3-6, is Security from the Father, and as we see at the end of Ephesians 1:6, this blessing is to the praise of His glorious grace. The second blessing we have is Salvation from the Son, and it is found in Ephesians 1:7-12, and look what the purpose of this second blessing is at the end of Ephesians 1:12: for the praise of His glory. I’m sure you’re seeing a pattern here, and it holds true for the third possession as well. This third possession, as we saw last week, is Sealing from the Spirit, and again, at the end of Ephesians 1:13, this blessing too, is to the praise of His glory. When God blesses us with spiritual possessions, or spiritual gifts—or even worldly blessings and gifts—they are NEVER to be used for our own glory or recognition. The things God gives us—whether spiritual or physical—are for His praise and His glory. This is the first purpose of the spiritual possessions that are ours in Jesus Christ. They were given to us with the purpose that God would be glorified. Why do you do the things that you do? Who are you and what do you do when you KNOW that nobody is watching? When nobody will thank you, nobody will recognize you, nobody will send you a card or a note, nobody will tell you how great of a job you did? If you are only serving in the church or a local charity so that people will praise you and honor you and recognize you…you are doing it for the wrong reasons. When you do this, you are acting like the Pharisees which Jesus so often condemned in the Gospels. John 12:43 tells us that they only performed their good deeds because they loved praise from men more than praise from God. Would Jesus Christ say the same thing about your acts of service? Are you only doing the things you do because you want people to see what you do and praise you for it? If so, you are doing things for the wrong reasons. Paul says after each spiritual possession that it is given to us, not for our praise or our glory, or our recognition, but for God’s alone—for the praise of His glory. This does not mean that we should not encourage one another and recognize each other when there is a job well done or an unselfish act of service. There must be a balance. It is important to praise and recognize and encourage those who are serving God. But if that is the reason you serve God—then it is the wrong reason, and you will never be satisfied in what you are doing. When serving God, you need to have it as the prayer of your heart that you will serve because God wants you to, and because He sees what you are doing, even if nobody else does. According to Ephesians 1:3-14, since everything we have is from God, the first purpose of our Spiritual possessions is that we use them to give glory to God. Sometimes people will see. Sometimes people will hear. And when they do, they might encourage you and praise you for what you are doing. In fact, that is exactly what prompted Paul to write what he does in Ephesians 1:15-16. Ephesians 1:15-16. For this reason, ever since I heard about your faith in the Lord Jesus and your love for all the saints, I have not stopped giving thanks for you, remembering you in my prayers. Although they were doing the things they were doing for the glory of God, Paul noticed, in fact, someone else noticed and told Paul, because Paul says he heard about them. So here, he praises and encourages them to continue on. He begins Ephesians 1:15 by saying For this reason. For what reason? Paul is saying what I have just pointed out to you. These spiritual possessions are for the praise and glory of God. Paul says For this reason or “Since these things are for the glory of God, I have been giving glory to God that you are using them for the glory of God.” See, it’s all about the glory of God. From these verses, we see that they were giving glory to God in two ways. They were being faithful and loving. Do you see it there in verse 15? Paul heard about their faith in the Lord Jesus. This is not just the initial faith that brings eternal life, but an ongoing faithfulness and obedience to Jesus Christ. Remember, Paul is not talking in Ephesians about how to receive eternal life; He is writing to Christians about how to live out the life in Christ they already have. He points out here that it is lived out by faith. Secondly, also in Ephesians 1:15, Paul also heard of their love for all the saints. In other words, they were known by their love for each other. In these two ways, faith and love, the Ephesian Christians were giving glory to God. By the way, according to 1 Corinthians 13:13 faith, hope and love are the big three Christian virtues (cf. Col 1:5; 1 Thess 1:3; 2 Thess 5:8). Almost without fail, when Paul mentions two of them, the third is not far behind. So we have faith and love here, keep your eyes peeled for hope. So Ephesians 1:15 says that the Ephesians have been glorifying God through their faith and through their love. Verse 16 shows us that when Paul heard about this, he glorified God through his prayers. See what it says? I have not stopped giving thanks for you, remembering you in my prayers. He is glorifying God, praising God, giving thanks to God for the faith and love of the Ephesian believers. And then in Ephesians 1:17-19, Paul tells them exactly what he prays for. 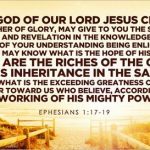 Ephesians 1:17-19. I keep asking that the God of our Lord Jesus Christ, the glorious Father, may give you the Spirit of wisdom and revelation, so that you may know him better. I pray also that the eyes of your heart may be enlightened in order that you may know the hope to which he has called you, the riches of his glorious inheritance in the saints, and his incomparably great power for us who believe. The first purpose of our spiritual possessions as we saw from verses 3-14, was to bring glory to God. The second purpose, as found in these verses, is for believers to gain knowledge of God. I pray my Cuisenart to keep. And that my analyst is wise. That all my sushi’s fresh enough. I pray my Mercedes they won’t take. That’s how many of us pray. But is that what Paul prays for here? Does he pray for us to be healthy and wealthy? No. When we look at the verses more carefully, we see that he has one main prayer request with three specific items. Let’s look at the verses more carefully. I keep asking that the God of our Lord Jesus Christ, the glorious Father, there’s that word glory again, may give you the Spirit of wisdom and revelation, and why does he pray this? So that you may know him better. This is what Paul prays for. Paul says, I keep asking. This is the continual, unceasing, fervent prayer of Paul for his brothers and sisters in Christ. Incidentally, it is my prayer for you as well. What does he ask for? Well, look what Ephesians 1:17 says. He prays to God that they may gain the spirit of wisdom and revelation. In the NIV, the word Spirit is capitalized. This means that the translators thought that Paul was referring here to the wisdom and revelation that comes with the Holy Spirit. John 16:13 does say that when the Spirit comes, He will guide you into all truth. So if this is how Paul meant it, he is praying that the Holy Spirit would guide them into wisdom and revelation. On the other hand, some of your translations might not have it capitalized. In this case, they take spirit to mean more like the character or nature of a person. We use spirit this way all the time. When we say “That person has spirit!” or “What a loving spirit he has” we don’t mean the Holy Spirit, but are talking about the person’s character or nature which makes them who they are. I think that this second option is probably the better one. We have already seen from verses 13-14 that the third blessing we have in Christ is the Sealing of the Spirit, or a deposit—which is the Holy Spirit within us. Paul would not say in verses 13-14 that all believers have the Spirit, and then pray here in verse 17 for God to give them the Spirit. They already have the Spirit! They don’t need Him, but they do need to use what comes with Him. Paul prays in Ephesians 1:17 that we would develop our new nature, our new character, our new spirit of wisdom and revelation. Wisdom is knowledge of the true nature of things. It is spiritual depth perception. It is applied knowledge. Revelation, of course, is knowledge that comes only from God. Harry Ironside tells the story of a time when he was first beginning to pastor as a young man, and he went home to California to visit his family and found a man of God living nearby who was from Northern Ireland. He was very sick, and had come to California hoping that the weather would aid his health. This man had the spirit of wisdom and revelation that comes from spending time with God and His Word. There is no spiritual short cut here. It comes only with discipline and time. I can attest to this as well. While I have been to Bible college and Seminary, I would say that the vast majority of what I have learned about God and Scripture did not come from what they taught me in seminary. Instead, I learned it through the careful and prayerful study of Scripture as I seek God’s face and listen to His whispering through the words of God on the written page and the Word of God in Jesus Christ. So both of these words found in verse 17, wisdom and revelation, imply that Paul wants his readers to gain spiritual knowledge. How do we know this? Well, look at the text. The end of Ephesians 1:17 says so that. Why does Paul want us to gain wisdom and knowledge? So that you may know Him better. The spiritual possessions we have in Christ have been given to us so that we will first, give glory to God and second, gain knowledge of God. How much do you know about this God you claim to love? Could you name even five of his attributes or characteristics? Do you know His ways and His works? Now where are you going to learn about God? 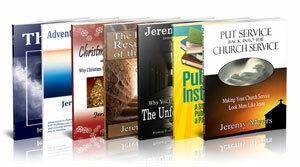 There are a lot of books out there that have man’s ideas about God. There was a bestselling book a while back called Conversations with God. A man claimed to be talking with God and to have written the things they talked about in a book. Is that where you are going to get your ideas about who God is? Some people turn to their own feelings, while others turn to reason and logic. There is nothing wrong with feelings and emotions or reason and logic. Both are gifts from God. But both can also lead us astray. Of course, creation and our conscience can also tell us something about God, but both have been twisted by sin and so can also lead us astray. We need something clearer. The only way to know anything for sure about God is to have Him tell us about Himself. And that is exactly what He has done in Scripture, and especially in Jesus Christ. The blessings we have in Jesus Christ guide us into knowledge of God and the wisdom for how to live life. That is why I place so much effort and emphasis on teaching Scripture, and as I do, always pointing you to Jesus Christ. Biblical teaching which focuses on Christ and Him crucified is one of the best ways to learn about God and what God wants for our lives. So our spiritual possessions are for us to give glory to God and to gain knowledge of God. Paul, in Ephesians 1:18-19, lists three things specifically that he desires—that he prays—for his readers to gain knowledge of. Look at these verses with me. Ephesians 1:18-19. 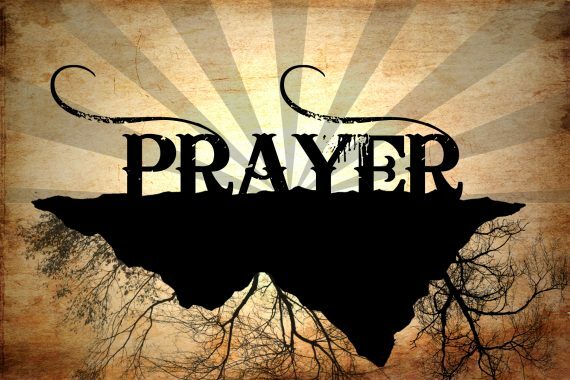 I pray also that the eyes of your heart may be enlightened in order that you may know (he prays for us to know three things—first) the hope to which he has called you, (second) the riches of his glorious inheritance in the saints, and (third) his incomparably great power for us who believe. Paul’s prayer is that the eyes of our heart may be enlightened. The eyes of your heart is a figure of speech for spiritual knowledge and understanding. And Paul prays that his readers would gain spiritual knowledge and understanding in three ways. First, that they would know hope, second, that they would know their riches, and third, that they would know God’s power. Let’s take these one at a time. Paul’s first item that he prays for is that his readers would know hope. Remember I told you to keep your eyes peeled for the trinity of Christian virtues? He has already mentioned faith and love, here is the third—hope. Paul mentions here that God has called us to this hope. Remember, that according to verses 3-6 and the rest of Scripture, we are chosen to be holy and predestined to be heirs. These are future things that God has promised to accomplish for the believer. Paul says here that this is our hope for the future. Now a lot of people hear the word “hope” and think it implies kind of a “wishful thinking.” For example, many people hope for riches—but most will not ever become rich. But that is not the kind of hope Paul is talking about. Our hope is a certain hope. Hope in Scripture is the absolute certainty of our victory in God (cf. Rom 8:23-24; Eph 4:4; Col 1:5; 1 Thess 1:3; 1 Pet 3:15). We do not place faith in our own good works, we hope in Christ, we place faith in His works, and we know that since God does not lie, our hope has a good foundation, and our hope will come true. When God makes a promise, faith believes it, hope anticipates it, and patience quietly awaits it. So the second purpose of our spiritual possessions is to gain knowledge of God, and we do this first by learning of the hope that is ours in Christ. Secondly, though, Paul wants us to gain knowledge of God by learning about our riches. He says in verse 18, the riches of his glorious inheritance in the saints. I hope you understand that the riches that belong to us in Christ—the inheritance that is ours in Christ—is partly for our use right now. In verses 3-14, Paul has shared three things that we have in Christ, but these are not the only riches that we have. Other places in Scripture tell us what these other things are. And Paul says here that for many of them, we can know them now! I should point out here that the word “know” often means more than just a simple knowledge of something. Being to the ocean … swimming in the ocean … smelling the salt in the air and tasting the salt on your tongue, hearing the cry of the seagulls … is much different than reading about the ocean in a book. One is simply mental knowledge; the other is experiential knowledge. The knowledge of that Paul wants us to have here of our hope and riches in Jesus Christ is an intimate, experiential kind of knowledge. Here, he wants us to know the riches that we have in Christ by using them. One of these riches that we have are spiritual gifts. Every believer has a spiritual gift. God wants us to discover what they are, and then put them into practice—use them. I would encourage those of you who have not yet taken the spiritual gift inventory to do so as soon as possible, so that you may know some of the riches that are yours. So finally, in the first part of verse 19, Paul prays for his readers to know his incomparably great power for us who believe. The world wants power today, doesn’t it? Those who are of the world believe that money and prestige and position, will get them power. Well, let me tell you, the power that is ours in Christ is beyond comprehension. Paul says it is incomparably great ! That means there is no comparison between this power and any other power in the world! In fact, the Greek word for power is dunamis, from which we get our word dynamite. It is power like dynamite that we have in Christ. And Paul thinks this power is so great, that he goes on in the rest of verse 19 an on through verse 23 to talk about this power. We don’t have time to look at these verses today, but we will do so next week. I don’t want to spoil it for you, but just for a moment think about the power of God. He created the universe. What kind of power does it take to create the universe? If you don’t know, go home today, and try to create a simple apple, then think about the power of God. How much power does it take to raise a person from the dead? How much power does it take to allow a virgin to be with child? How much power would it take to guide and direct a universe filled with free creatures? This divine power of God is something He has placed at our disposal! Of course, at the end of this first phrase in verse 19, Paul says that this power is only for us who believe. This power is not for all. Not everyone will share in this power. Everyone will know this power, but some will be sharing in it, others will be judged under it. The thing that determines which you will be is whether you have believed in Jesus for eternal life or not. This power is only for those of us who believe. Have you believed in Christ? I would invite you today, if you have not, to make sure of your eternal destiny. Believe in Jesus so that you may be for the praise of God’s glory, and so that you may know God, the hope to which we are called, the riches of his inheritance, and the power for us who believe. These things cannot be yours in any other way. In the last several weeks, we have seen that we are part of a very rich family. When we believed in Jesus Christ for eternal life, we became heirs to the family fortune. The sad fact though, is that many in our family are not aware of the riches that are theirs because they have never bothered to open the checkbook and look at the balance. They are like the late newspaper publisher, William Hearst, who invested a fortune collecting art treasures from around the world. One day, Mr. Hearst found a description of some valuable items he felt he must own, so he sent his agent abroad to find and purchase them. Have you read the bankbook? Are you studying the Bible? It is only with its pages that we discover how rich we really are, and that the best way to use these riches is by giving glory to God, and by gaining knowledge of God through the hope, the riches and the power that belongs to us in Christ. You don’t have to search for them, they are yours, and you just have to learn more about them. Spurgeon, quoted in J. I. Packer, Knowing God (Downers Grove: IVP, 1973), 18.